For the last four or five days I’ve been hanging around Arthurs Pass, one of the three mountain passes that crosses over the South Island mountains here in New Zealand. The first two days were spent mostly lounging about the hostel as it dumped snow and the wind raged outside. I did get out for a fantastic little hike during the storm, when there was snow covering the forest – quite a strange sight to see. 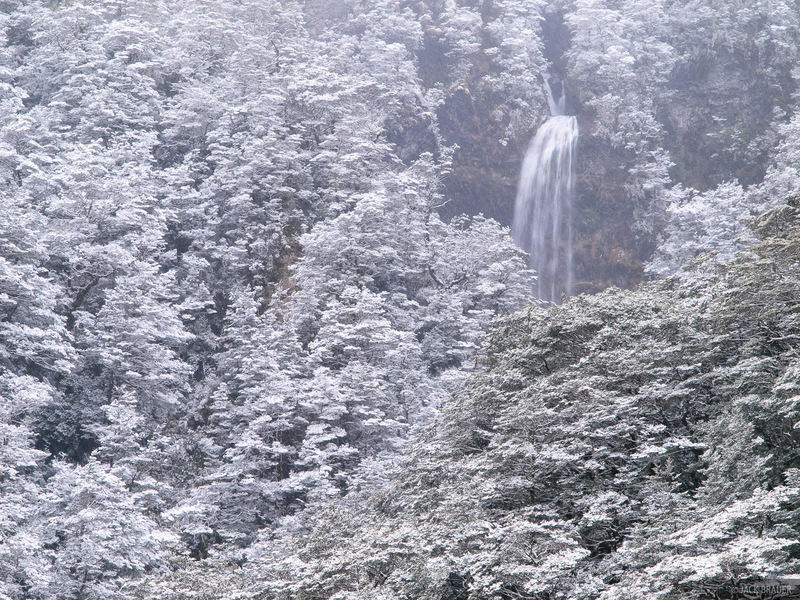 Fresh spring snow covers the forest around Bridal Veil Falls, near Arthur's Pass. 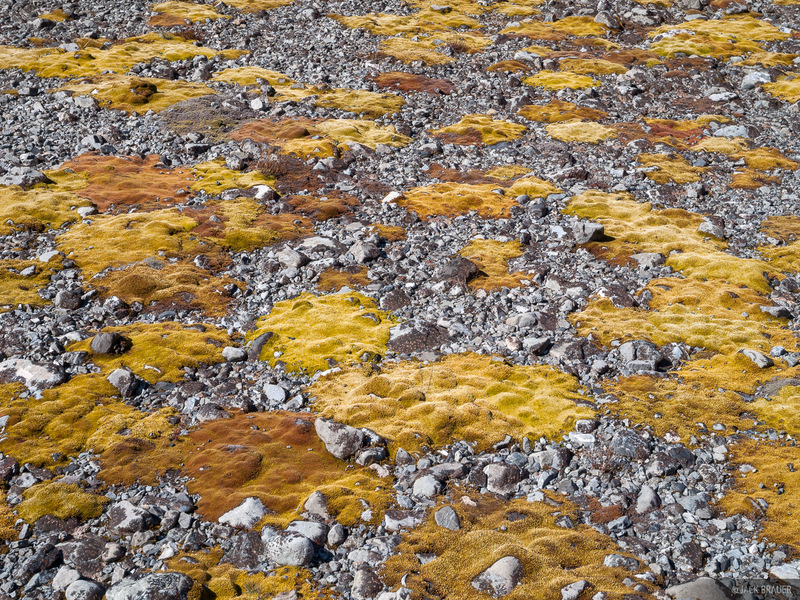 With a clearing forecast, three days ago I left for a big hike. 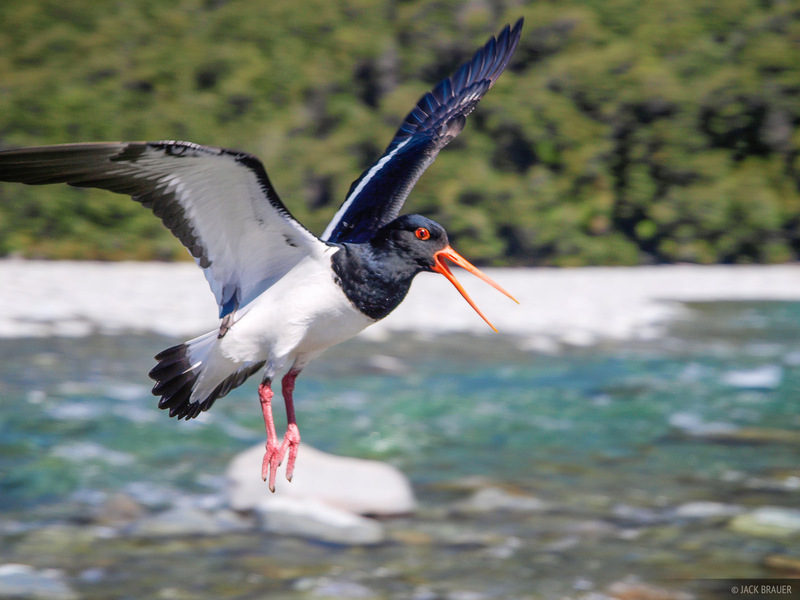 I hiked up the Waimakariri River valley, a wide, flat braided river valley, and after fording the river twice, I slept the first night at the Carrington Hut. 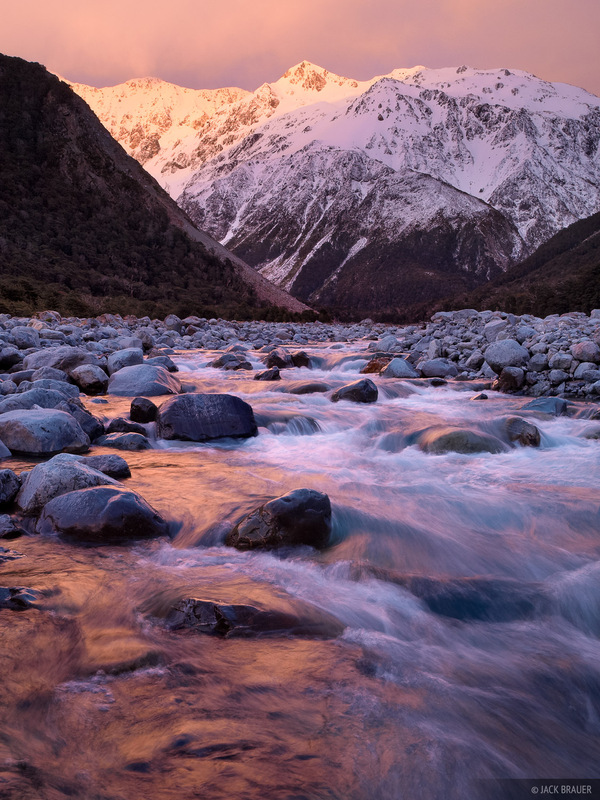 Sunrise light along the Waimakariri River, deep within Arthur's Pass National Park. 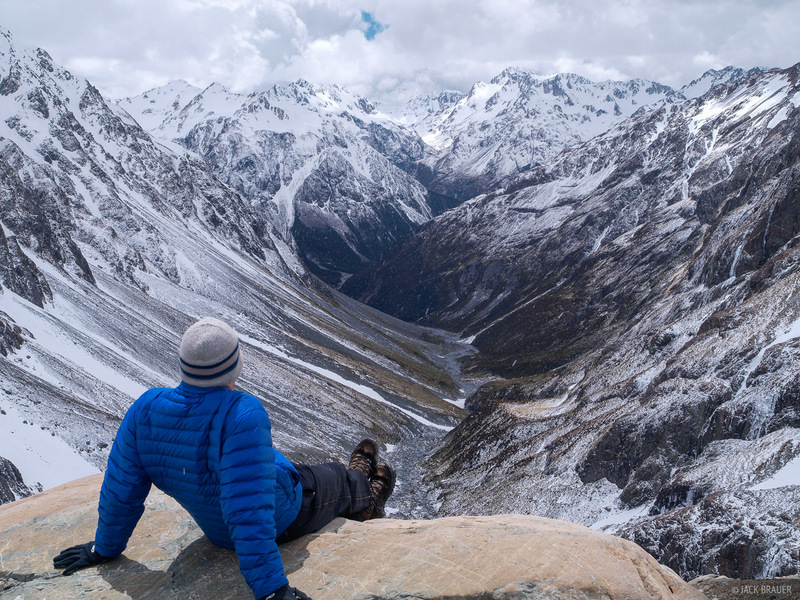 Day 2 I hiked further up into the mountains and stayed at the Barker Hut, a high-level hut set on a rocky outcropping in the center of a large snowy cirque. 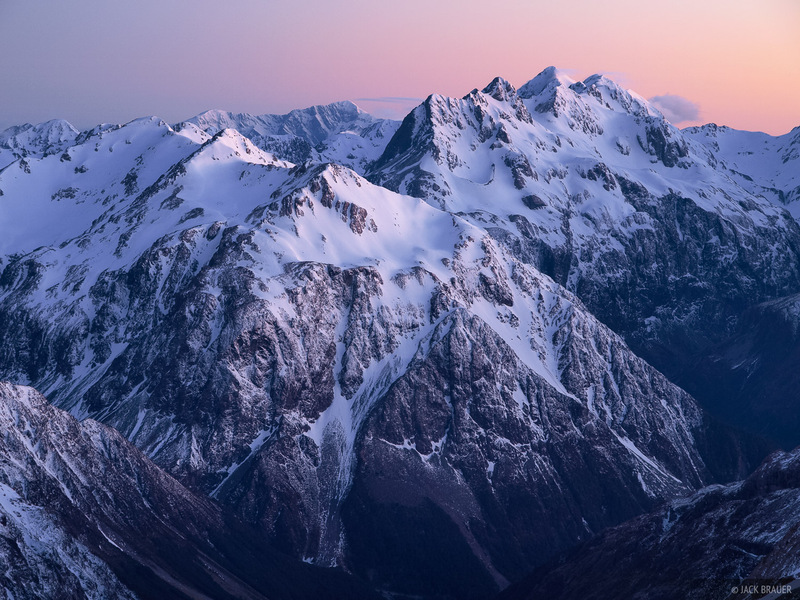 The mountains around Arthurs Pass are a bit smaller than the enormous beasts around the Mount Cook region. These mountains are similar in scale to the San Juan Mountains in Colorado, though of course they are much different in character. It looks like there would be some great skiing/snowboarding to be had around here in the winter. 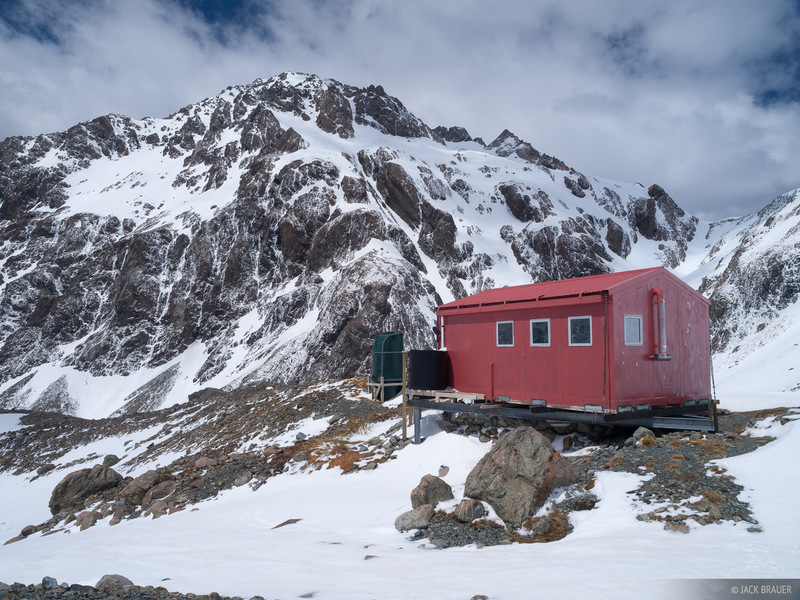 In fact, around the Barker Hut there were loads of great 3,000-foot lines, with nice smooth spring snow topped with about four inches of spring powder. I wish I had had my snowboard up there! (Can’t imagine carrying it all the way up there though). Pre-sunrise light illuminates Mt. 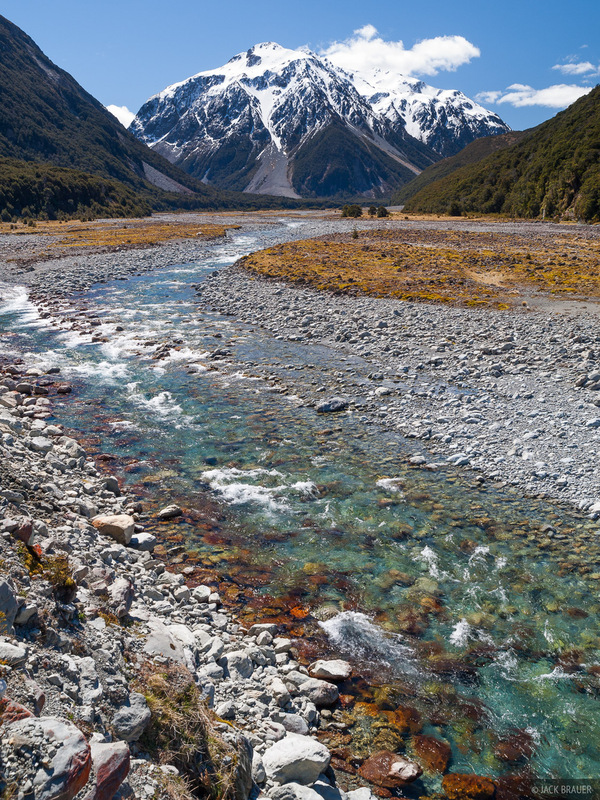 Campbell (closer, 1829m) and Carrington Peak (behind, 2010m), in Arthur's Pass National Park. Day 3 I woke up pre-dawn, hiked up a nearby peak with crampons and ice axe, watched a nice sunrise from up top, then hiked all the way back out to the car.